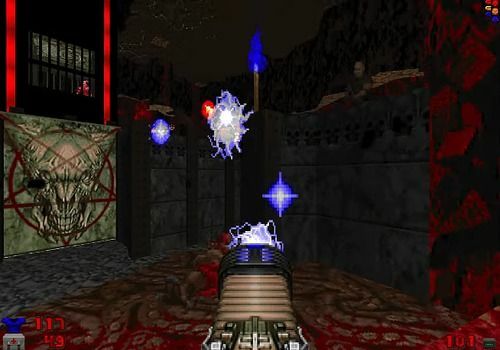 Sigil, the beast's brand, is a Doom mod offered by John Romero himself. This game is a full-fledged adventure that comes in the form of a "megawad" file, a.wad to add to the game's files. The game consists of 9 levels and 10 multiplayer maps, but the content is still confidential... According to Romero himself, it is an unofficial sequel to Doom IV and is a continuation of the first episode. Remember that Doom first of the name is one of the ancestors of the SPF and has written his name in the blood in the pantheon of video games. Since then, the game has been portrayed on various media and has been redone, modified, copied, usurped, betrayed and redeemed... for the greatest happiness and sometimes the greatest confusion of enthusiasts. Available in February 2019, the game is therefore offered free of charge, but only accessible if you have an official license purchased from your preferred reseller.